Hey everyone- it’s fistula Fridays! 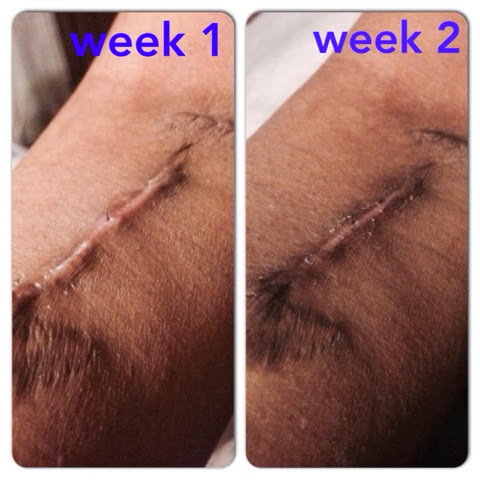 Time for an update on my fistula’s healing progress. 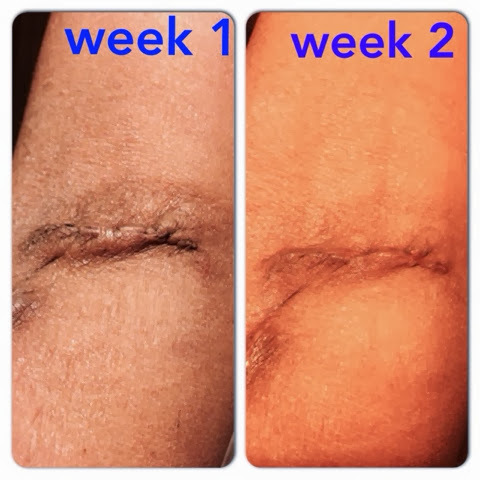 I wore the silicone scar strips all week. These pics compare the first set of pics I labelled as “fistula Fridays” with pics taken today.